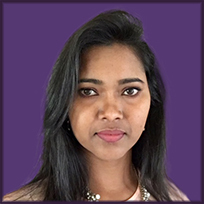 Dr. Jaya Merugu is an ABPN Board Certified psychiatrist who received her medical degree at Pondicherry University in India, followed residency in General Psychiatry and Neurobehavioral Sciences at Wayne State University, and a Fellowship in Geriatric Psychiatry at the University of Alabama, Birmingham. Before joining Springbrook, Dr. Merugu worked in the Apollo Hospital System and for the Asha Hospital Institute of Medical Psychotherapy. Most recently, she served as psychiatrist for the Aurora Pavilion on the campus of the Aiken Regional Medical Center, and volunteered on the board of a local community mental health organization, Aiken Barnwell Mental Health (ABMH).